Come and celebrate the Lunar New Year at the Jack Poole Plaza. 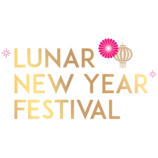 LunarFest, in partnership with Tourism Vancouver and the Vancouver Convention Centre, will feature the Coastal Lunar Lanterns, a brand new art installation designed by Musqueam, Squamish and Tsleil-Waututh artists, as well as a special guest artist from the Taiwanese Zihing tribe. Bringing together Vancouver's indigenous heritage and eastern Lunar New Year traditions, the prominent display will feature eight gigantic lanterns, set against a beautiful backdrop of the North Shore mountains. The Coastal Lunar Lanterns installation takes place from January 30 to February 18, 2019 and will be illuminated nightly on Jack Poole Plaza at the Vancouver Convention Centre. For more information and to discover the variety of Lunar New Year events taking place in Vancouver and Richmond this year, visit www.LunarFestival.com.